Three candidates are running for a seat on the North Carolina Supreme Court. Host Frank Stasio talks with Republican incumbent Barbara Jackson and challengers Democrat Anita Earls and Republican Chris Anglin. Recent changes to state law have turned the battle for a seat on the North Carolina Supreme Court into a highly-anticipated contest. 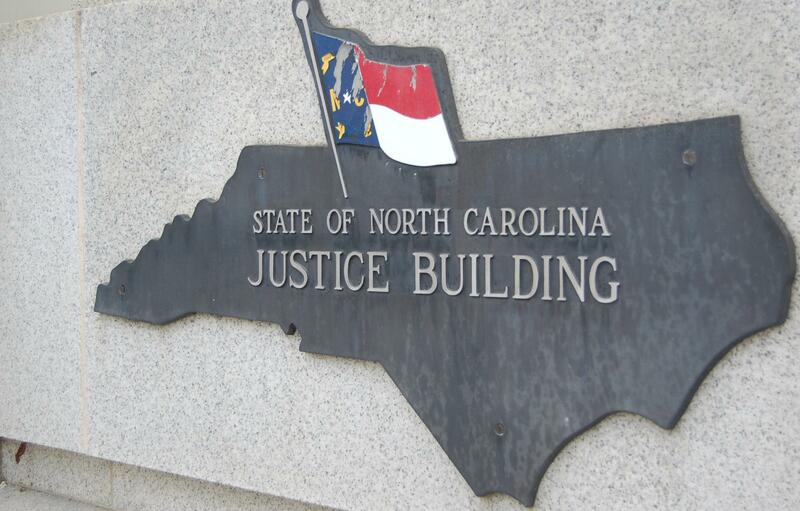 The General Assembly eliminated judicial primaries, and for the first time in years, judicial candidates will list their party affiliation on the ballot. This week the State of Things will meet each of the candidates running for an eight-year term on the state Supreme Court. Rusty Jacobs reports on the race for North Carolina's Supreme Court. On Nov. 6, Justice Barbara Jackson the Republican incumbent for NC Supreme Court faces two challengers. 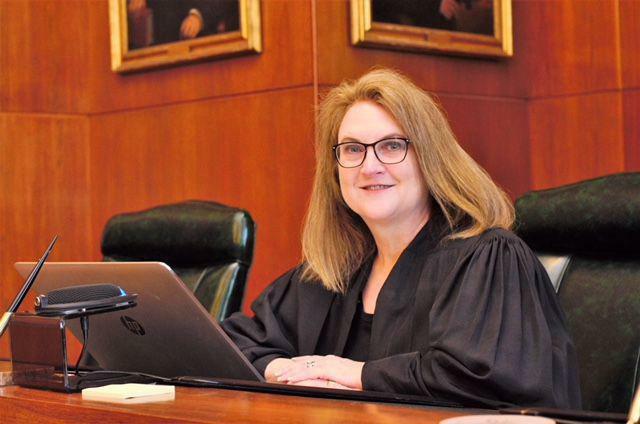 Incumbent Justice Barbara Jackson joins host Frank Stasio to talk about how these changes have impacted the race, her track record as a judge on the North Carolina Supreme Court and the state Court of Appeals, and her choice to run for a second term. Host Frank Stasio speaks with Justice Barbara Jackson who is up for North Carolina Supreme Court re-election this year. When I was working for Commissioner Berry in the Labor Department, I was noticing that there were decisions at the Court of Appeals that I just didn’t agree with. Also some folks from my peer group started running for the court. And you know what? I thought: If these folks can do it, I can do it. I think it’s a mixed idea. I appreciate on the one hand that people seem to be more comfortable voting when they have more information, and the party identification is more information … But the thing that I worry about is not that [the] judiciary would be more politicized but the perception that it is more politicized. The case Dickson v. Rucho has been up to the Supreme Court … And been back to our court, and then back to the Superior Court, and it’s actually still in our court. So I really can’t discuss it … There has been ongoing litigation on redistricting since I got out of law school. I can’t comment specifically because the case is still pending in our court. We’re called upon to maintain public confidence. I think that’s a very important value that judges have. And I think the public should maintain that confidence. Our court actually reaches unanimous decisions between 75 to 80 percent of the times, and that statistic is over the past 7 ½ years since I’ve been on the court. As incumbent Barbara Jackson fights to maintain her seat against the little-known attorney, Chris Anglin,Democrat social justice advocate Anita Earls has taken the lead. A Spectrum News poll from early October reveals 43 percent of those surveyed would vote for Earls if the election were held that day That is compared to the 15 percent who would vote for the incumbent. Earls joins host Frank Stasio for a conversation about her background and candidacy. A fighter for social justice, Anita Earls experience ranges from working under the Clinton Administration as Deputy Assistant Attorney General for Civil Rights to founding the Southern Coalition for Social Justice. Earls will talk about founding and running the non-profit group The Southern Coalition for Social Justice and her legal battles over proposed voter ID laws and redistricting. When the Republican-led General Assembly decided to eliminate the judicial primary and require Supreme Court candidates to declare party affiliation, they unknowingly began a chain of events that has left the Republican party in jeopardy of losing even more seats on the state’s Supreme Court. 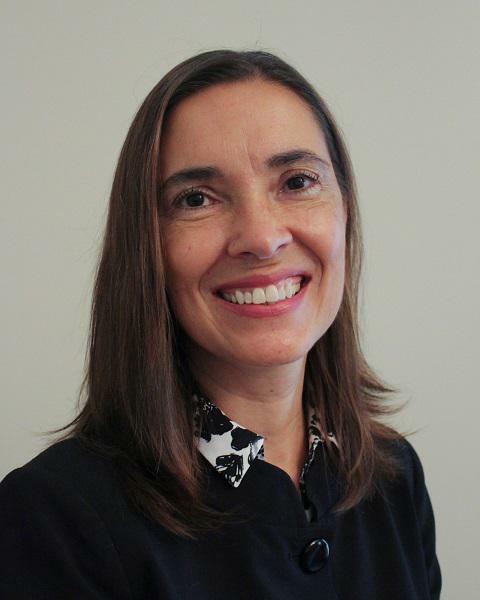 Host Frank Stasio speaks with North Carolina Supreme Court candidate Anita Earls. Any case that I participated in where I represented a party, I would recuse myself. I’ve been doing voting rights work for 30 years. What I’ve learned most recently is that it’s not enough to have the right laws on the books to protect our democracy. We also have to have elected officials willing to abide by norms of behavior that protect our democracy. Whether we have a fair and impartial judiciary depends on some level the willingness of the judiciary to police itself. Voters find the party label useful, and so to the extent that it gives voters more information I think that simply identifying how a candidate is registered is a good thing. What’s not a good thing is the way the General Assembly and other political actors have tried to politicize the courts overall. There were five laws passed by this General Assembly trying to impact the outcome of this Supreme Court seat. One of those laws was found to be unconstitutional. My record goes beyond my advocacy for groups … I was part of the board that unanimously found Gov. 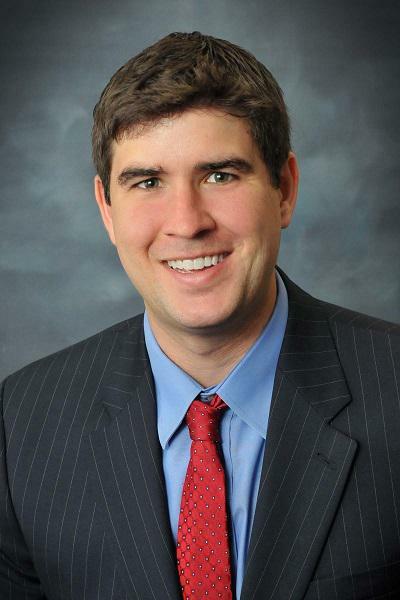 Mike Easley, also a Democrat, in violation of campaign finance laws ... In that role I understood that I was sworn in as a member of the State Board of Elections. It was my job to apply campaign finance and election laws equally across the board no matter what party affiliation. This could have been a quiet, routine race for the state Supreme Court with Democrat Anita Earls vying to take the seat of incumbent Republican Barbara Jackson. Calling himself a constitutional Republican, Raleigh attorney Chris Anglin explains why he's an alternative for disaffected members of the party. But when the General Assembly decided to change the rules and both terminate the judicial primary and require candidates to declare party affiliation, it opened the race up to an x-factor. To the surprise of many, lawyer Chris Anglin, who was formerly registered as a Democrat, entered the race as a second Republican candidate. His candidacy stirred the pot and upset the Republican-led General Assembly. Host Frank Stasio talks with North Carolina Supreme Court candidate Chris Anglin. I wanted to stand up for the independence of the judiciary. The General Assembly has tried to make the judiciary an extension of themselves. I’m running in order to highlight that judicial partisan elections are a bad idea and to give disaffected Republicans the option to vote for someone who will stand up to the General Assembly. People who are registered Republicans they come up to me and said they are in favor of what I’m doing, and they think that this current General Assembly has hijacked the Republican party and taken it in a direction that they don’t like. I think there should be an opportunity for North Carolinians to get a court appointed attorney for cases like evictions, employment and worker’s compensation and unpaid wages ... When you don’t have a lawyer there’s a huge disparity in the outcome … When you have an attorney in an eviction case the tenant wins 50 percent of the time. But when they don’t have an attorney, they only win 10 percent of the time. It was a very humbling experience, and it made me realize I needed help. I think when you have a substance abuse issue, the hardest thing to do is ask for help. There’s currently a terrible opiate epidemic which is sweeping this country, and the judiciary plays a major role in trying to help people with substance abuse issues. More than 500 women announced they will run for governorships and Congressional seats around the country this year, and some pundits have predicted there will be a pink wave in this midterm election cycle. But the Status of Women in North Carolina Politics 2018 report shows that there is no pink wave in North Carolina. News deserts are cropping up across America. A new report shows nearly 1,800 papers have shuttered or merged since 2004, and 171 counties across the U.S. have no local newspaper. This decline has deep implications for civic participation and government accountability, which become even more critical around election time. Host Frank Stasio speaks with Penelope Muse Abernathy, the Knight Chair in Journalism and Digital Media Economics at the University of North Carolina Chapel Hill, about the disappearance of local news papers. North Carolina's Supreme Court justices are taking their work on the road this week as the court inches closer to its 200th anniversary. North Carolina's highest court for the first time is wading into the long-running effort by Republican legislators to strip away as many powers as possible from Democratic Gov. Roy Cooper.